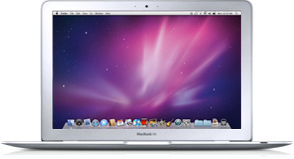 At the end of January, I told you how I had recently picked up a MacBook Air to replace my aging MacBook Pro, and as part of that process, I would try to do as much as I could online instead of through desktop applications, leaving much of my rich media on the old laptop, and choosing the Web over hard disk as often as possible. A month in, it seems there is still much room for the cloud to grow, but despite the general trend for massive data growth, I still haven't used more than 30 percent of my spartan 128 GB solid state hard drive - a back of the hand measurement of how little data I am keeping with me and not leaving in the air. 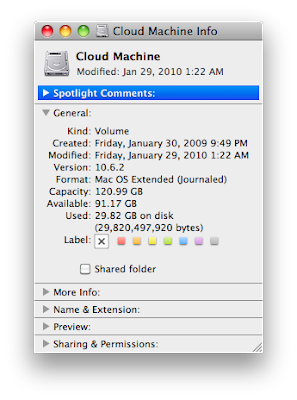 As I mentioned last month, one of the first decisions I made was to keep iTunes and iPhoto data on the old laptop. I recognized I needed to keep Microsoft Office, for pure sanity purposes, but left Adobe's CS suite on the other machine. Those applications I have downloaded have been rare, letting me tap into the cloud itself - for example, Skype, for audio phone calls and podcast recording, the Sonos controller to power the home stereo system, and Spotify, to access the on demand music network. The goals are multiple. First, can I do a test run at being operating system agnostic, maintaining the flexibility to move toward a promised Chrome OS when it ships? Second, can I make the actual hardware insignificant, treating the new Air as a "disposable" machine, making migration to a newer device in the future simple? Third, and most important, can I find major weaknesses that continue to exist with an all cloud strategy? Are there any headaches to going cloud-only (or close to it)? Sure. For somebody who uses PhotoShop a lot, the lack of PhotoShop has me reaching for it often. In the interim, for images for the blog, I've relied on lots of screen captures, and small editing in Preview. Anything stronger pushes me to the media machine. But the problems have been extremely rare. If I had an Office competitor that made it easy enough to edit all my files and save them remotely, I would be happy to give Microsoft Office the boot. But it's not there yet. And in the meantime, I am using GMail more and my Mac e-mail account less. I have been taking Zoli Erdos' advice and moving my Mac e-mail to the cloud, but that process isn't yet completed. I'll keep you posted on that, promise. My new-ish MacBook Air isn't just lighter in terms of weight. It's massively lighter in terms of data too. It makes sense that in the future, so long as we have one place to put all our rich media, the rest of us really only need thin clients. We're getting there.